Some people choose the traditional gym option; others choose to go for outdoor runs. 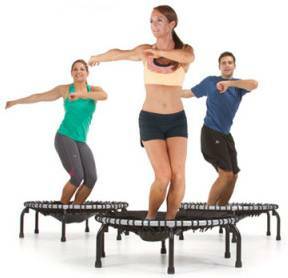 Still, some prefer trying new and emerging workout options like trampoline workout. However, the question that continues to linger in many people's mind is, are trampolines a good workout? Given the huge benefits that accrue as a result of properly using the trampoline for workouts, you can probably say yes. 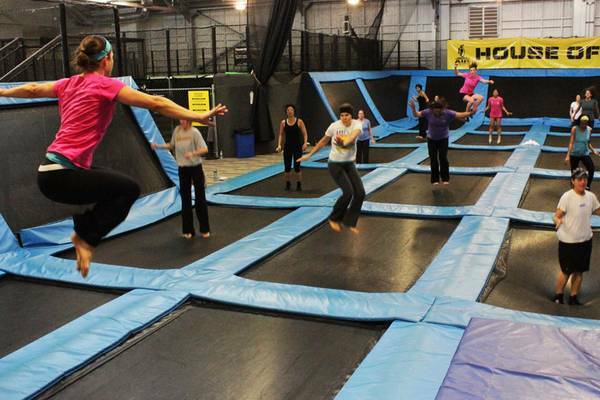 Trampoline parks (also referred to as trampoline gyms) have in the recent times been embraced as the workout of choice for cardiovascular exercise. One major thing that makes them a preferred choice for many is the fun they bring along with when doing the workout or seeking to achieve physical fitness. However, one great concern with trampoline workouts is the ability of doing it properly, in a way that’s safe and also promotes the workout goals. Due to the newness of the trampoline gym or workout idea, it is common to find people doing it the wrong way. Therefore, to ultimately enjoy the workout benefits that come along with the use of a trampoline gym, you have to invest your energy and time in familiarizing yourself with the safety issues associated with it. The other way to reap big from the use of a trampoline rebounder for workouts is to learn about their advantages and disadvantages. For instance, when one jumps on the trampoline, they get the advantage of doing the traditional workouts/exercises in a low-impact area. Besides, the trampoline makes a tedious exercise become more fun and enjoyable. Unlike the traditional gym that requires heavy investment to set it up or substantially good budget to enroll in it, trampolines are easy to set up and maintain. This makes them more accessible for anyone wishing to do a workout. The other advantage of trampoline gyms or workouts is that they are appropriate for use across all ages; children, youths, college students, the working and even the elderly can have fun on trampoline platforms while also furthering their fitness goals. A simple trampoline workout entails making simple jumps on the trampoline. However, prior to making these jumps, you need to keep in mind a few issues. For instance, when doing trampoline workouts, your goal will be to improve your cardio as well as burn a significant amount of calories. Here are some tips that can make your simple trampoline jump work out perfectly. First, you will need to identify a trampoline of any size. During the workout, you’ll also have to maintain a distance of about 15cm or 6 inches between your feet. Before making a jump, you have to slightly bend your knees. About the hands, you also need to bend your hands and also have your elbows being at your sides. A single jump that you make should be about 15 cm high and should be made repeatedly for thirty times (X30). For the sake of your safety during mini trampoline workouts, never at any point invade someone’s trampoline or allow someone to invade yours. A single trampoline should only be used by a single person at any given time. It’s a safety hazard for two or more people to be on the trampoline at the same time.